The brass Hose-Y enables you to use two hoses from one faucet, or one hose, by using the shutoff valve. The dual shutoff valves either completely shut off, or control flow of water from either or both outlets. The swivel hose fitting allows convenient orientation of the hose-Y by keeping shutoffs to the front. Convert one faucet into two for multiple uses from one hose faucet. Adjust the flow to each hose or shut off completely with the leak-free ball valves. The Zinc Coupling with Shut-Off operates as a shut-off valve for hose sprinklers. 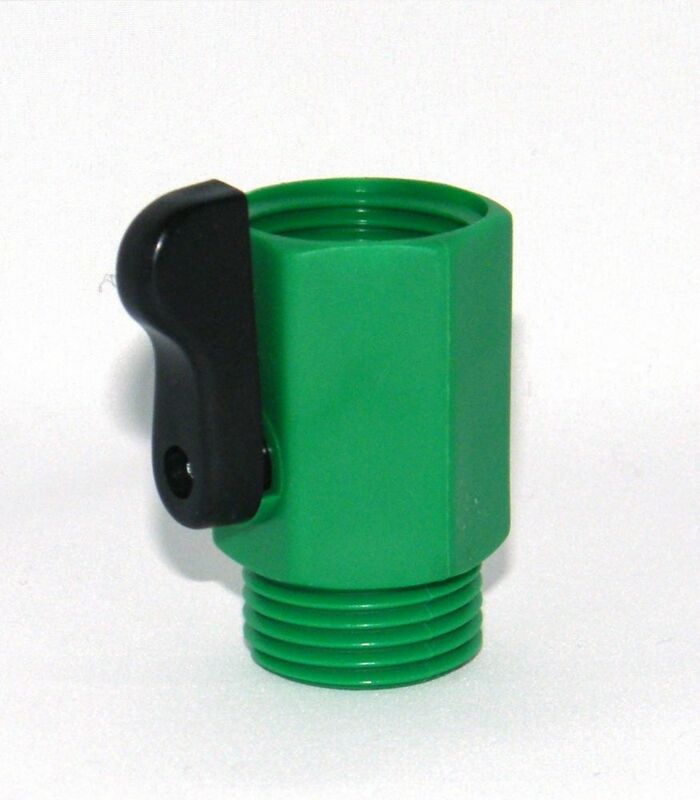 Use at the hose faucet connection or at the end of a sprinkler to adjust flow control from off to full flow. Pro series brass long neck "Y" Shut off valve supports 2 hoses. Large heavy duty die cast brass body. Extra large shut off knob.